The first Diamond Way Buddhist Center was founded in Szczecin at the end of the 1970s. In 1981 Lama Ole Nydahl invited to Poland a Tibetan Lama Ajang Tulku. It was the first time that a Tibetan lama had been invited to Poland by Lama Ole. 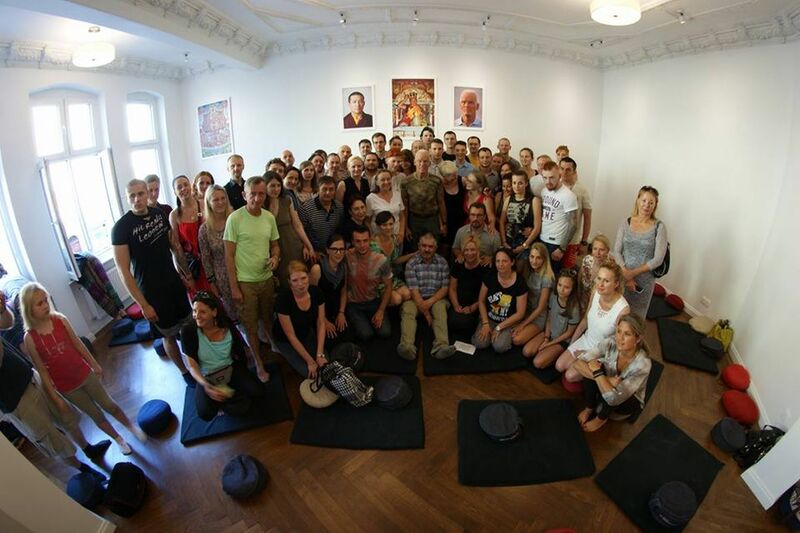 Lama Ajang Tulku had the first Phowa course in Poland and it was in Szczecin. For many years our center had been changing its place, being located in private or rented flats. In 2013 a new flat (160 m2) was bought. It became our new own property bought with saved money and accepted by Lama Ole. The center was totally renovated and in 2015 Lama Ole visited Szczecin to bless the new Gompa. The number of members in Szczecin Sanga is about 30 people. Every day there is 16th Karmapa meditation and once a month there are organized meetings and teachings with Diamond Way Teachers.